I have no idea about what you do while listening to musics, but with this fantastic Pimple MP3 player, you’re able to to get rid of your pimples by the same times you listen to your favourite musics. This must be the most useful and coolest invention of the teenagers who love to be beautiful. 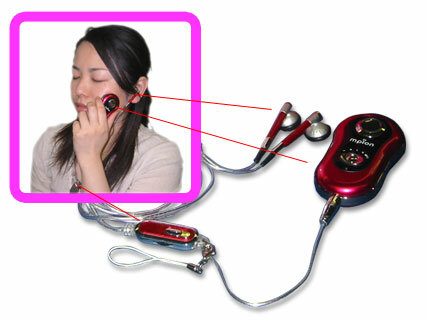 As what you see in the photo, what you need to do is just apply the portable player onto your face for acne-fighting. I don’t know how it’s concept does exactly but I think it has something to do with ions and absorption. Anyway, this innovative Pimple MP3 player which features an only 128MB of memory capacity is costs for 20,790 Yen or about $180 US dollar.